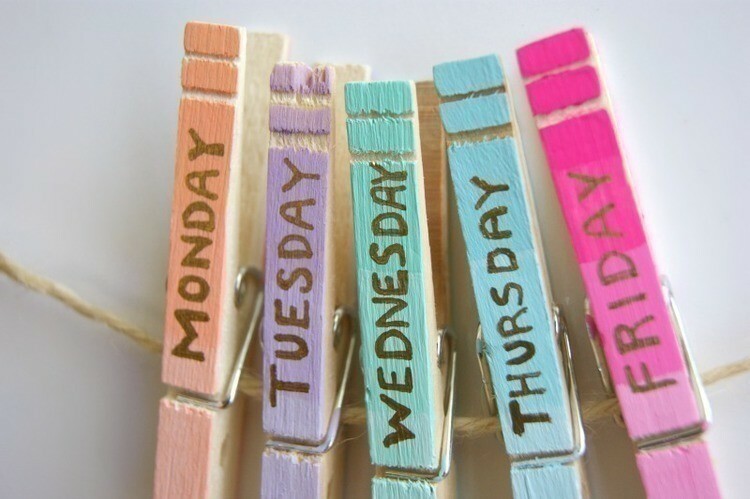 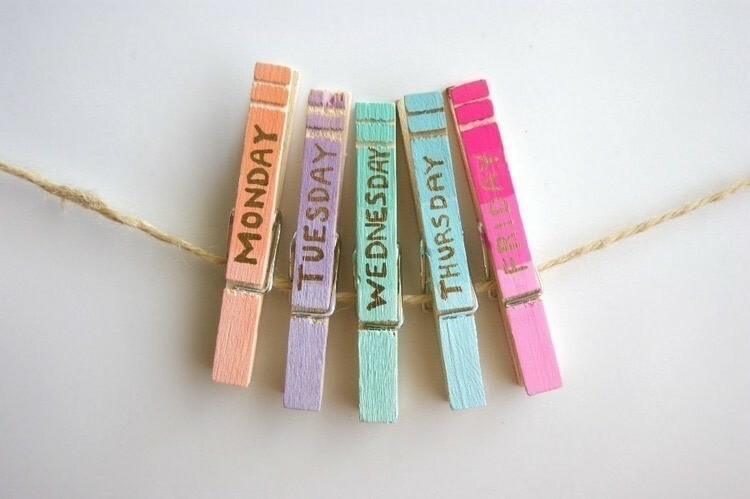 Hang up your weekly to-do list with these ombre clothespin reminders. Ombre painted accessories are trending, so these will look cute and be functional in your home or office. 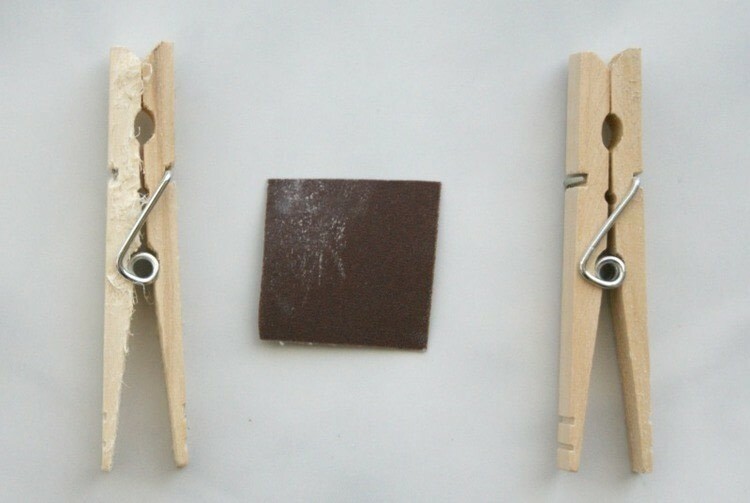 If you buy your clothespins from the dollar store, like me, you may need to sand them down a bit to get a nice smooth texture. 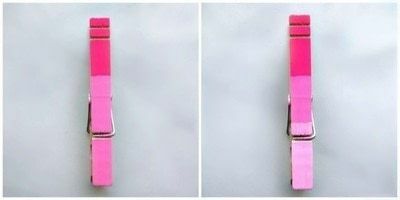 I usually buy a big roll of sand paper from the hardware store for the year, and cut little pieces off as I need them. Write the days of the week using a sharpie in a color that pops. 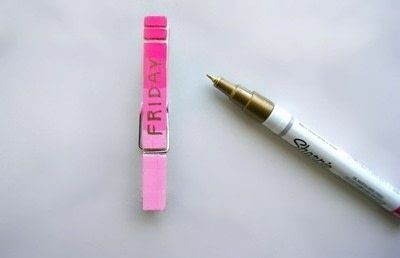 I love gold, so I couldn't resist!